← Home Water Storage: Do You Do It? When I was in college, I spent a summer on a work camp in Moyamba, Sierra Leone. It was through a program called Crossroads Africa. About a dozen American and Canadian college students joined forces with young Africans to start construction on a high school. As we worked together, we shared stories of our lives. I remember how joyous the young Africans were. I loved dancing on the weekends, at large get-togethers with everyone from toddlers to grandparents dancing together. As a result of that experience, I went to graduate school in applied anthropology, hoping to make a difference in development in third world countries. Life took different turns, though, and I never returned to Sierra Leone. I stayed in touch with one of my African friends, Isa Johnston of Freetown, and even got together with her a few years later when we both were in England at the same time. I have since lost contact with her. The joyousness and kindness of the people I met in Sierra Leone has stayed with me all these years, and when the country was engulfed in civil war for over a decade, I grieved. When the war ended, I rejoiced, but I haven’t really kept up that much with news there. Yesterday in a nearby public library I picked up a book titled A Man from Another Land: How Finding My Roots Changed My Life and got totally engrossed in it. It’s by American actor Isaiah Washington, who discovered through a DNA test that he was 99.9% Sierra Leonean on his mother’s side, of the Mende and Temne peoples. I had worked among the Mende. His discovery led him to start a foundation and to do everything he could to help the people there. His descriptions of the poverty he encountered in Sierra Leone portrayed things as being far worse than when I was there in 1963. I was in tears at several points in the book and yet there was also much joy in the tales. Yep, I am Lesley! Remember you well, Doug! Will email you at the address you put in here. Through a series of coincidences, I just read about your experience with Crossroads Africa in Moyamba, Sierra Leone in 1963, which you posted on July 20, 2011. Why was I stunned? Because I was in the Moyamba group with Crossroads in 1963! And there was no Zana Hart in our group! I’m certain of that. If we were not in some kind of a weird time-warp, the only think I can think of is that you had a different name at the time — perhaps Leslie Linebarger. That’s the only explanation. Please get back to me and tell me if that’s true. A number of our fellow participants have kept in touch, so they will very interested to learn about you, whatever the circumstances. Thanks, Tricia. When I went to Sierra Leone with Crossroads Africa, we made a commitment to give 50 talks in the US after we got back, to educate people about life there. Well, I did about 5 but I was shy. I did write an article that was published in a foreign affairs magazine of the time… hmm, if it ever turns up when I clean out those boxes in my storage shed, maybe I will put parts of it in this blog. Anyway, now I feel like I’m continuing to finish up that promise of over 40 years ago! 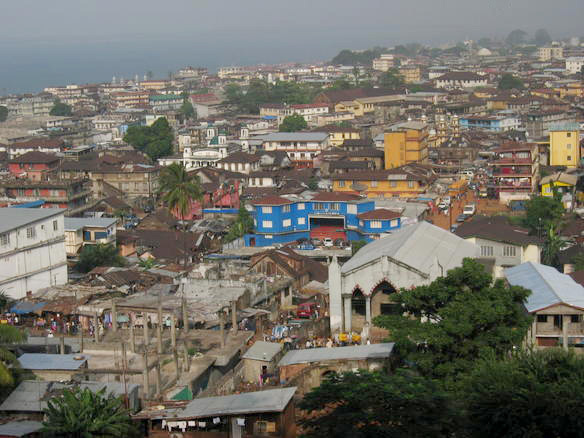 I remember looking out over Freetown from my room at Fourah Bay College, enjoying the beauty of the town. (There was electricity in those days.) Our group was only there briefly, then we took the train to Moyamba, which was our base. We stayed in a secondary school there. Another Crossroads group was in Bo, and we went to visit them. But most of all I remember the kindness of the people and their faith in God to help them through this life. It actually quite astonished me, how much trust they had! He really does value the opinions of those that read his book and the understand the journey. Rebuilding Sierra Leone is a passion for him that he will undoubtedly pursue for the rest of his life. Thank you for you support! Greatly appreciated! You’re welcome and will do. I was SO inspired. 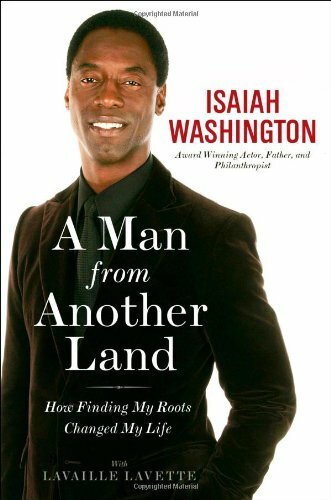 Thank you so much for your feedback on Isaiah Washington’s book! I shared your blog post with him and posted it on his Facebook page. Greatly appreciated! If it’s not too much to ask, would you mind posting your review on Amazon.com or Goodreads.com?